Today October 11 at 11.10 am Moscow time a manned Soyuz was launched from launch pad No. 5 of the site No. 1 of the Baikonur Cosmodrome. Onboard were members of the ISS-57/58 mission: Russian cosmonaut Alexei Ovchinin and American astronaut Nick Haig. “167 seconds after the launch, a command was given to emergency shutdown of the second-stage engines and detachment of the ship’s descent vehicle for an emergency landing,” Roskosmos said in a statement. The ballistic reentry emergency sequence worked perfectly, and parachute deployed. The crew landed close to the launch site. The search and rescue vehicles with a crane arrived at the place of landing 25 km from Dzhezkazgan. Also Mi-8 helicopters arrived on the site. The crew was found in good health but stressed due to the 8 Gs experienced during ballistic reentry. During a normal Soyuz reentry, the G-forces typically do not exceed 4.5 Gs. Cosmonauts and astronauts rehearse the ballistic reentry in a centrifuge as part of their training before they fly into space. 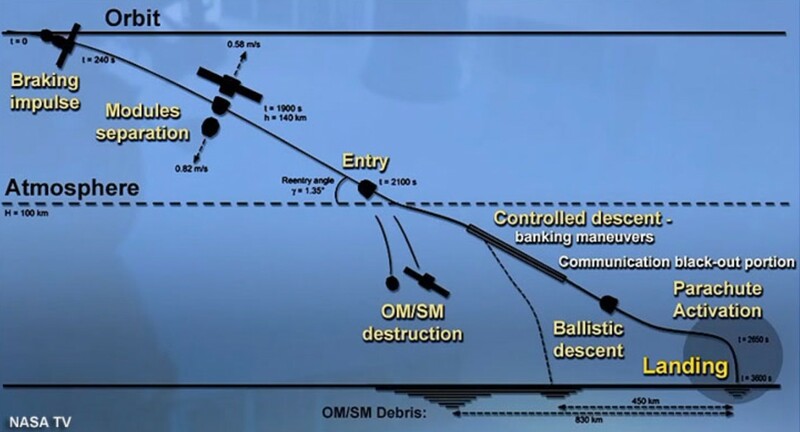 Ballistic reentries happened several times in the past at the end of the mission causing more discomfort of today’s launch because the body is deconditioned following several months of weightlessness in space. Interfax reported as possible cause of the accident a faulty (incomplete) separation of the second stage.